This page is dedicated to Sandra Young, past Secretary of GPCSO. Sandra worked tirelessly for the club and its rescue. She was passionate about Great Pyrs. She left her mark on all of us. We are saddened by her passing. This is our tribute to her. 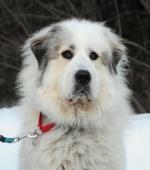 The club being referred to is Great Pyrenees Club of Southern Ontario. 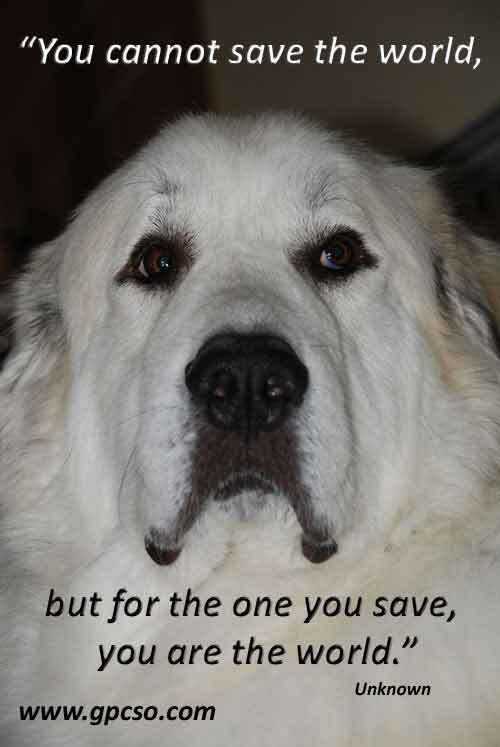 You may have noticed that I did not write “THE Great Pyrenees Club of Southern Ontario” and for good reason. Sandra was a stickler for detail and would always remind me that “the” is not part of the registered name. And how did I get to know that? It was 2005. 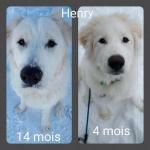 We had our new Great Pyrenees puppy, “Perennial’s One of a Kind” AKA Gus. He was Ann Bacon’s Perennial Reg pup sired out of Limberlost Remy. And so I looked to the club for anything I could find to help. I realized the website needed help. But it had basic contact info that allowed me to locate Sandra, the Secretary. We emailed and then talked on the phone. I proposed building the club a free site. Sandra, telling me that she had had offers before that really didn’t pan out, was more than a skeptic. I remember hearing her say something to the effect of “Sure I’ve heard this before, but will you really do it?” I knew then, I was dealing with someone who meant business. Fortunately, so did I. Over the next months and years we worked together to build the website we have today. We talked and communicated regularly. 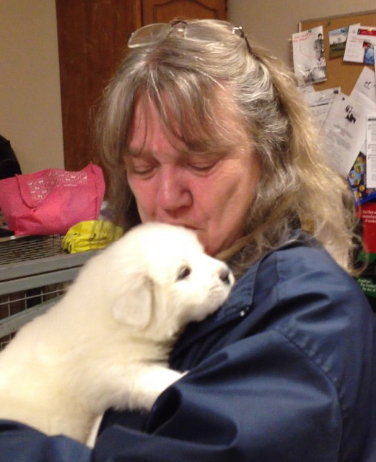 That’s when I learned just how passionate Sandra was about Great Pyrs and how committed she was to the club. But there was more. It was a twist of fate. As it turns out I’m not really a dog lover. I don’t hate them or anything like that… but I really didn’t want to own one. Still don’t. 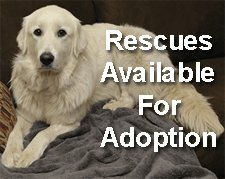 But a Great Pyr? That’s a different matter entirely. 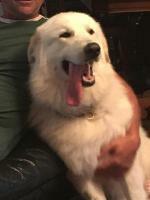 So how does a person who is not in love with dogs fall in love with a Great Pyr? Here comes the twist of fate. It’s 1985 in Toronto. My (now) wife and I are at the Sportsman Show. Cheryl loves dogs. “Let’s go upstairs to the next level, they have dogs there. I want to see them.” Cheryl says. The first dog I met at the top of the stairs was an English Bulldog. I’ll never forget it. It wasn’t for me. I knew I wasn’t a dog lover. Then I turned the corner and there were the two most beautiful creatures I had ever seen. My knees weakened. There were Limberlost Kennel’s Gandalf and Bandit. I was smitten. It was love at first sight. So why am I telling you this story and what does this have to do with Sandra? Well, as it turns out quite a lot! 2005, that’s 20 years later… I am telling this story to Sandra. “Oh my God” she said, “Gandalf was my dog!” Then she added, “He was stolen from a show when he was only 5 years old. I never found him.” It was heartbreaking for her. Gandalf’s pictures are on the home page of the GPCSO website. It was our way of honouring his role in bringing us together. She told me how she had met her first Great Pyr. She had been driving in the country and had passed a property with a Great Pyr. She stopped and had to go back and look. She too, was smitten. Gandalf came to her soon after. She drove a Volkswagen Beetle back then. She was always amazed how such a big dog could make himself comfortable in the back seat of a Beetle. Some years after losing Gandalf, Sandra made Wizard her new Pyr mate. Sandra was a fan of The Hobbit and Lord of the Rings and reminded me that Wizard and Gandalf were the same character. Wizard was her pride and joy and spent a full life with her. Sandra loved football. And she made Wizard a part of that love. He would show up at local games and was almost considered a mascot, even wearing the club jersey. Sandra worked tirelessly for the club. She raised money for rescue any way she could. She ran Garage Sales. 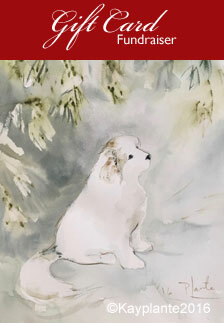 She introduced Canine Good Neighbour Testing and certification for any dog. She even authored a book that still sells many copies each month from the website to raise funds for the club. She published the monthly Newsletter for many years. She worked on the bylaws and operated as secretary for the club. Her legal background provided benefit to the club in so many ways. Sandra’s last dog was a rescue she decided to foster. He came to her after Wizard passed. He was a shattered dog. He was terrified of his own shadow. He would hide behind the couch. Would hardly come out to eat. She named him Shadow. Sandra and Don nursed him back to health over many months and years of careful work. She was so proud to tell me of his progress no matter how slow it was. Like so many fosters, he never left. No doubt Shadow misses her as we do. We live in a culture filled with superstars. Not all superstars seek the spotlight. Many are like Sandra who found a way to make a difference by following her passion and bringing her uncompromising truth to the table. You don’t need a spotlight to see that. All you need to know is that you are in the presence of someone who cares enough to do what is necessary. Thank you, Sandra. We are all better human beings because you were here. There is no greater gift than that. How do you remember Sandra? 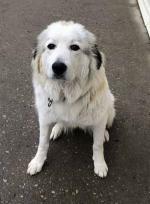 Sandra was an active, contributing member of Great Pyrenees Club of Southern Ontario for many years. The club, and its members, will enjoy the benefit of her work for many years to come. This is your opportunity to share your experience and memories of Sandra. This is your opportunity to celebrate her having been here with us. We invite you to share your memories of Sandra with us. Your tribute will appear on a Web page exactly the way you enter it here. You can wrap a word in square brackets to make it appear bold. For example [my tribute] would show as my tribute on the Web page containing your tribute.